Come visit The Congregational Church of The Villages, pastored by Dr. Jim Keough. Worship services incorporate both traditional and contemporary elements. The recently completed Congregational Church in Summerfield is located at 15421 S US Hwy 301. Worship services are held Sunday mornings at 10 a.m. Get Directions. Our worship services are organized around diverse themes and seek to touch both head and heart. We always strive to create a space where people can find deeper spiritual truth and meaning that enhances their life. Worship services incorporate both traditional and contemporary elements. Our members participate in the service through music, chime choir, scripture reading, and other special ministries. The Sunday morning worship begins at 10:00 a.m. Holy Communion is served the first Sunday of each month. Services, such as, Christmas Eve Candlelight, Maundy Thursday, Holy Communion, Lenten experiences, and other worship events are scheduled and announced in the weekly bulletin and on this web site. Join us! Friendly fellowship, inspirational messages and beautiful music await you on each Sunday morning at 10 a.m. Come! Let us praise the Lord together! Jim Keough is the founding pastor of The Congregational Church. 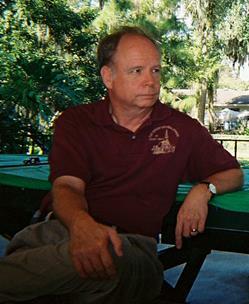 He comes to central Florida after pastoring First Congregational Church in Pontiac, Michigan for nearly 20 years. Jim is a graduate of Messiah College, Grantham, Pennsylvania with a B. A. in History. He received his Master of Divinity degree from Lancaster Theological Seminary of the United Church of Christ in Lancaster, Pennsylvania in 1973. In 1980 Pastor Keough graduated from Ashland Theological Seminary, Ashland, Ohio with a Doctor of Ministry degree. The Ashland program was part of a three seminary cooperative program with Capital Campus Lutheran Seminary, Columbus, Ohio and the Methodist Seminary in Delaware, Ohio. Jim's wife, Dawn, is a registered nurse. The Keoughs enjoy visits with their six children and thirteen grandchildren. Mary Starkweather has served as Office Administrator for the church since 2009. She is originally from the Pontiac, MI area and was a member o the First Congregational Church in Pontiac for over 40 years. Mary attended Western MI University, majoring in Business and served as Office Manager for a Labor Relations consulting firm prior to retiring and moving to Florida in 1994. 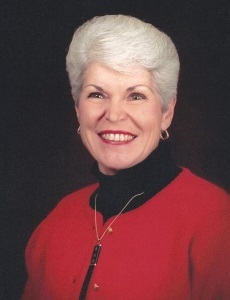 She and her husband, Jerry, have resided in the Stonecrest Golf & CC community since early 1995. Mr. O’Connell is a native of New Jersey and is a graduate of the West Chester University School of Music, with graduate studies in at the College Of New Jersey and Villanova University. He studied composition with the late Frank Hunter, musical director of the Mike Douglas Show. Playing piano professionally since age 16, he has composed several commissioned original works for school band, and is still constantly performing, writing, arranging, and transcribing in sunny Florida. Recently retired after 35 years of music education, Mr. O’Connell was the band director at Saucon Valley High School, in Hellertown, PA, where he was responsible for the award winning Marching Band, Concert Band, Pit Orchestra, Jazz Ensemble, and Elementary Band. While a high school director, Mr. O’Connell conducted semi-professional pit orchestras in over 25 musicals. Kevin is presently the Organist and Director of Music at the Congregational Church of Summerfield. He performed professionally with the pit of the Broadway tour of “Grease.” A show pianist since 1979, Mr. O’Connell has performed with such personalities as Joan Rivers, Bobby Rydell, Julius LaRosa, Henny Youngman, Pat Cooper, and Soupy Sales. He was an active keyboard player in the Philadelphia area performing with CTO Orchestras, and Real Diamond. He has done several recordings. Presently performing concerts in the Villages, FL with vocalist Billie Thatcher and his own Trio, he has already played shows with the Villages Musical Theater, the Ocala Civic Theatre and The Ice House Theater in Mt. Dora, FL. He is still programming synthesizers and performing yearly at the “Freddy Awards,” a nationally acclaimed TV Special on WFMZ- TV, in Allentown, PA. He has two sons; Michael, a web designer, who lives in Rochester NY, and Ryan, a nationally known composer, who lives in Los Angeles, CA.